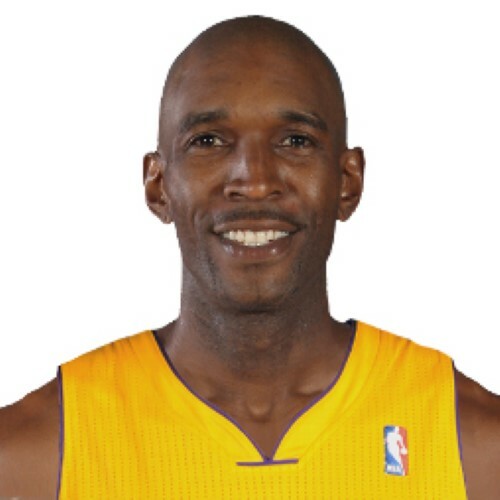 Joseph Leynard Smith (born July 26, 1975) is an American former professional basketball player who last played at power forward for the Los Angeles Lakers of the NBA. Born and raised in Norfolk, Virginia, Smith was the College Player of the Year at Maryland in 1995 and the No. 1 pick of that season's NBA Draft, picked by the Golden State Warriors. He was named to the 1995–96 All-Rookie team. Smith was mobile throughout his career, the NBA indicated that he was one of the most traded players. In 1998, Smith was traded to the Philadelphia 76ers; he then played for the Minnesota Timberwolves (with a mid-way pitstop for the Detroit Pistons) until 2003. He later played for the Milwaukee Bucks, the Denver Nuggets, the 76ers again, the Chicago Bulls, the Oklahoma City Thunder, the Cleveland Cavaliers, the Atlanta Hawks, the New Jersey Nets, and the Los Angeles Lakers.